As devastating secrets and betrayals are revealed, the Jackson family is brought to a breaking point. But time is running out. Erin is still missing and Jake’s unorthodox inquiries have left him dangerously exposed. They must find Erin and lay the past to rest—before they become its latest victims. Tom Jackson started off having a good day. He had won the approval of his village’s council to reopen an abandoned quarry near a historical site….over the objections of a group of eco-warriors and Druids that are objecting to them even reopening the quarry. Then he gets a phone call that is the beginning of the end. His 9-year-old daughter, Erin, has gone missing while on a walk in the woods with her mother, Amanda. 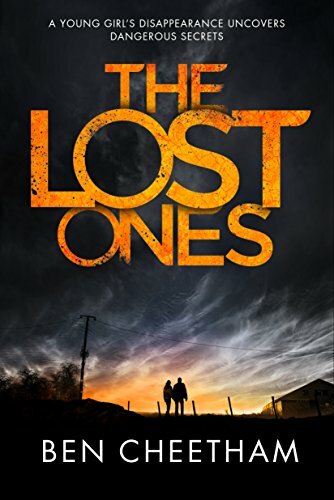 While the whole town starts a search party and the local police start an investigation, Jake, Erin’s older brother, decides to go into an abandoned house where two people were brutally murdered over 40 years ago. After being attacked by a rook, killing it and rescuing its babies, Jake is drawn into an awful confrontation with his mother and father. That sends him running back to the house and what he finds there is something that can unravel the world as he knows it. Tom and Amanda, in the meanwhile, are having struggles of their own. When secrets come to light during the investigation, those secrets threaten to destroy their marriage and commitment to each other. Seth is a young man (I didn’t catch his age) who happens to be in town at the same time that Erin disappears. He has his own agenda and wants to right a wrong that happened over 40 years ago. But he is caught up in the search for Erin and his agenda is taking a back seat to the search and rescue. Mary is the surviving daughter of the people who were brutally murdered over 40 years ago. Called “Crazy” Mary, she never talks, lives in a secluded bungalow with her cats and just acts weird. She knows who killed her parents but is rendered mute due to that trauma. Everything is tied together in an explosive ending!!! This book is very fast paced right from the get-go. I mean, I scorched through 1/2 of the book within a day and the other half the next day. I absolutely had to find over everything I outlined above, the book had me that sucked into it. I did figure out who killed the Ingham’s about halfway through the book but even though I figured it out, I was surprised at why that person did it and how this person would go to cover their tracks. The multiple storylines in the book were wonderfully brought together at the end of the book. The ending was a bit of a shock….actually a huge shock. I wasn’t expecting what happened to happen. Why: A book that definitely kept me on my toes while reading it. It does have multiple storylines but the author did a fantastic job of keeping them separate until the last chapters of the book.